Every season there's always anticipation to see what the the bods at Mulberry come up with for their new season campaign, and S/S was no exception. We were definitely excited to see the images of their beautiful 'Under the Sea' theme popping up all over the internet. Shot by the infamous Tim Walker, the campaign has his signature whimsical-feel stamped all over it and the gorgeous Megan Collison stars as the Mulberry mermaid who can be seen perching on shimmering coloured coral with the brand's iconic handbags. We've fallen head over heels for the yummy pastel shades and can't wait to get our hands on some of the pieces.... in our dreams! LOVE these shots. All about the pastels at the moment! It's a good job for my bank balance I prefer the images than the bags. Does Tim Walker ever get it wrong?! 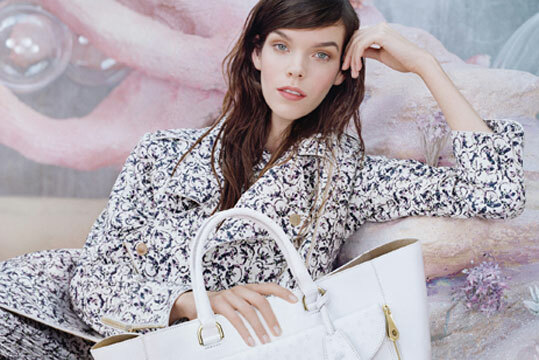 Stunning images, and I expect nothing less from Mulberry.